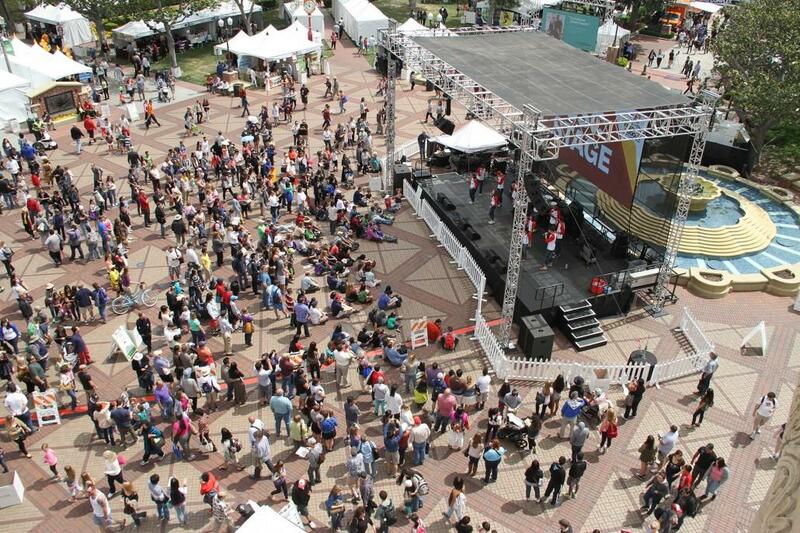 The L.A. Times Festival of Books returns to the USC campus April 22 – 23. Take the whole family for a weekend of music, conversation, food, games, and of course — books! The event is free and open to the public. Go Metro and save 10% on your total purchase of official 2017 Festival of Books merchandise, including mugs, T-shirts, and more! To receive the discount, show your valid TAP card upon checkout wherever official merchandise is sold. To get to the Festival of Books, take the Metro Expo Line to Expo Park/USC Station or the Metro Silver Line to 37th Street/USC. The DASH F bus is another good option, and there will also be a free Festival Shuttle Bus running from Union Station Patsaouras Bus Plaza to the USC campus. My personal travel preference to the Festival of Books is to take the shuttle from Union Station, which drops me off at the northeast end of USC. Then I make my way across the campus and leave via Expo Park/USC Station. The Festival of Books will be open from 10 a.m. to 6 p.m. on Saturday, and from 10 a.m. to 5 p.m. on Sunday.